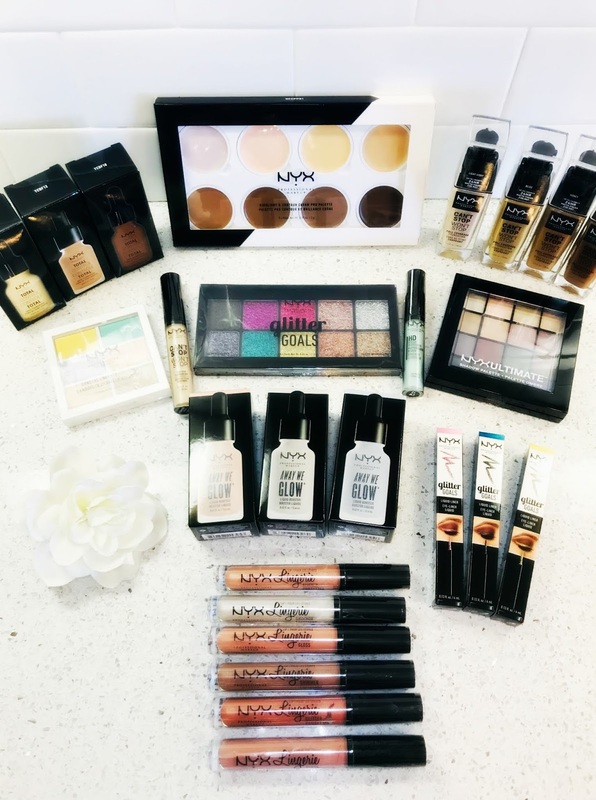 Living a Fit and Full Life: Get a Whole New Look NYX Professional Makeup! Treat your face to the ultimate concealer palette in six color correcting shades. Customizable to create your ideal shade to cover imperfections the lightweight formula glides on for an ultra-smooth finish and leaves skin feeling soft and supple. Play hide-and-sculpt with our new Can’t Stop Won’t Stop Contour Concealer. Available in 24 highly pigmented hues, this lightweight liquid won’t transfer and has three major complexion musts covered. You can use our blendable, matte formula to camouflage imperfections, brighten up your face and contour those features to perfection. This creamy multitasker also delivers full coverage with a finish that lasts for up to 24 hours. Pair our longwearing concealer with its complementary Can’t Stop Won’t Stop Full Coverage Foundation and Powder Foundation shades to put your best face forward. Shoot for the stars with Glitter Goals Liquid Eyeliner. Our formula is loaded with gorgeous glitter floating in crystal clear liquid. It dries down nicely for an all-out sparkly finish you can flick on precisely with the brush tip. Available in six jewel tones that add a twinkly touch to any look. Get a Whole New Look NYX Professional Makeup! NYX Professional Makeup is a brand that I've been hearing really good things about lately so I was excited to try out a few products from them. I had the pleasure of trying the products above and I was incredibly impressed! 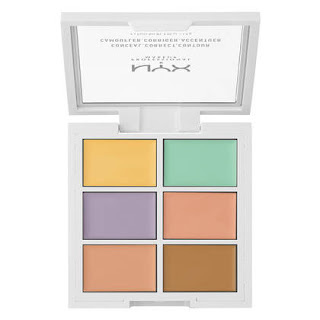 COLOR CORRECTING PALETTE from NYX Professional Makeup is the perfect way to color correct! It comes with six color correcting shades that allow you to create your ideal shade to cover imperfections. It's a lightweight formula that glides on for an ultra-smooth finish and leaves skin feeling soft and supple. I also love how blendable it is and that it has nice coverage for those pesky imperfections. 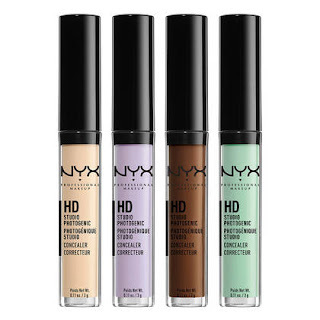 HD PHOTOGENIC CONCEALER WAND from NYX Professional Makeup is available in 12 shades to accommodate an even wider range of skin tones so you can find the perfect shade for you. This amazing concealer effectively covers imperfections, discoloration and under-eye circles without ever looking cakey or obvious. It's the perfect way to secretly cover all your imperfections. 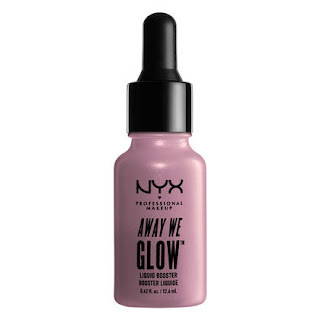 NYX Professional Makeup's AWAY WE GLOW LIQUID BOOSTER is amazing! It's the perfect way to give dull skin just the boost of radiance it needs. This product enhances your features with a gorgeous, buildable glow or a shimmering sun-kissed finish. It's a terrific way to give skin a little or a big boost of radiance. 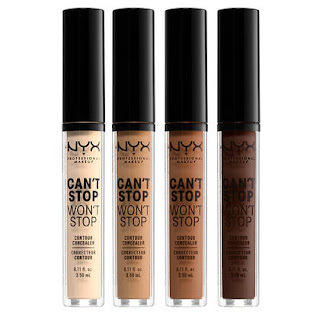 CAN'T STOP WON'T STOP CONTOUR CONCEALER from NYX Professional Makeup is also a wonderful concealer that's available in 24 highly pigmented hues. It's a lightweight liquid that doesn't transfer. You can use the blendable, matte formula to camouflage imperfections, brighten up your face and contour those features to perfection. It a multitasking concealer that truly does as promised! 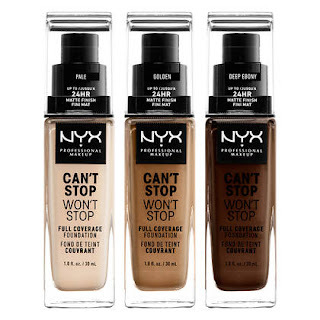 NYX Professional Makeup's CAN'T STOP WON'T STOP FULL COVERAGE FOUNDATION is a wonderful foundation for all skin types! It's lightweight, waterproof and highly pigmented. It comes in 45 tones that don’t transfer and stays in place like a dream. It's the perfect concealer for all! 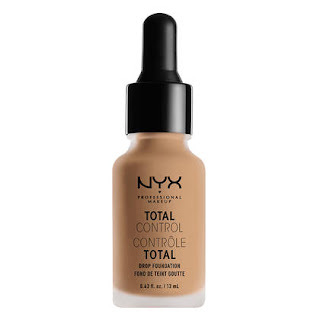 TOTAL CONTROL DROP FOUNDATION from NYX Professional Makeup is a great way to customize your coverage like a pro! It provides sheer-to-full coverage in a soft matte finish you will love. It gives you complete control and truly allows you to use just the right amount of foundation! 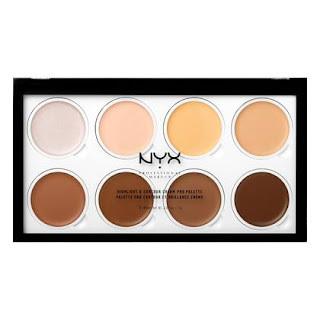 NYX Professional Makeup's HIGHLIGHT & CONTOUR CREAM PRO PALETTE is a dream come true! It includes eight pigmented shades in a soft and blendable cream formula. It truly blends like a dream and looks totally fabulous on your skin. It's the perfect way to contour and highlight like a pro! 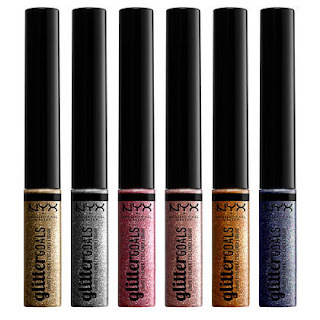 GLITTER GOALS LIQUID EYELINER from NYX Professional Makeup is a great way to make those eyes pop! It's loaded with gorgeous glitter floating in crystal clear liquid for easy application. 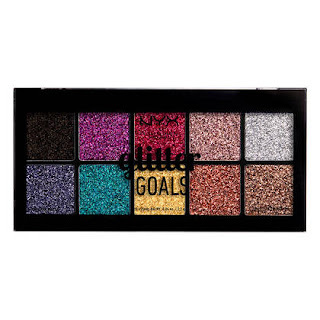 It's available in six jewel tones that will add just the right sparkle to any eye look! NYX Professional Makeup's GLITTER GOALS CREAM PRO PALETTE is gorgeous! It contains ten sparkling shades of creamy color with a silky base for loading on the luster. The shades are buildable which I love because you can truly customize your look. 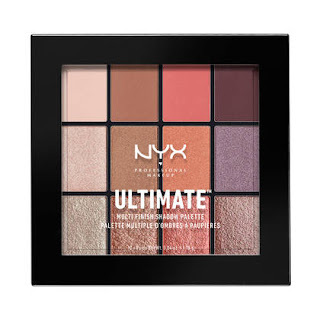 ULTIMATE MULTI-FINISH SHADOW PALETTE from NYX Professional Makeup is also a gorgeous palette, perfect for day or night wear! This palette is available in four tone-inspired color combinations. Each palette is packed with 12 high-performance eyeshadows and pressed pigments to help you create your perfect look. It's a must have palette! LIP LINGERIE from NYX Professional Makeup is my new favorite liquid lipstick! It's available in 12 brand-new nudes to give lips the perfect touch of color. Each shade coats lips with ease and stays put nicely. I'm head over heals in love with the shades available and love the look they give my lips! NYX Professional Makeup has everything you need to get a whole new look! Click HERE to learn more about NYX Professional Makeup! 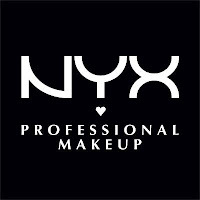 Follow NYX Professional Makeup on social media!